Cleaning your house every day are still aren’t enough. Yes, you might get rid of any big mess that your eyes could visibly see. But what about those mysterious spots on your couch? How about those dusty cabinets in your kitchen? Did you also consider the backside of your bathroom sink? Well, these are some of the areas that most homeowners oversee when doing a regular home cleaning. Likewise, these spots could end up making your house look dirty. However, you could do more! Consider scheduling a proper deep cleaning task to clean your house. This article will guide your thoughts on everything you need to know about an efficient house cleaning. 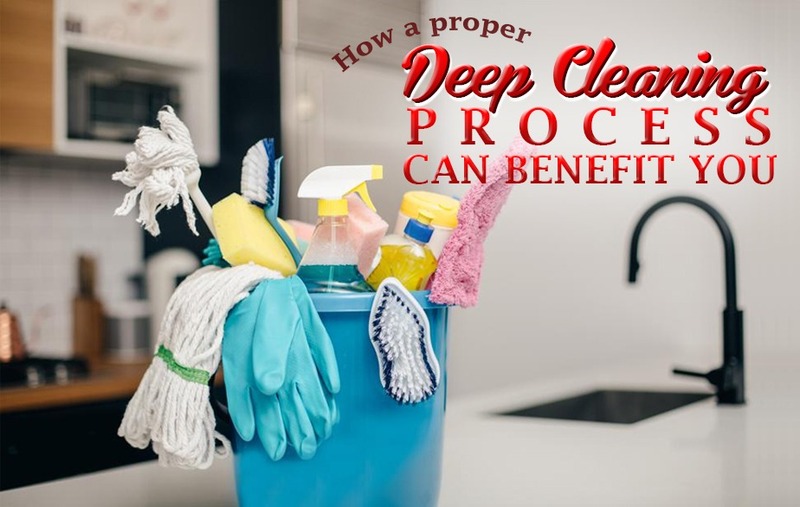 Why is a Proper Deep Cleaning Important? Technically, every house needs deep cleaning for at least every six months. For a homeowner, you should at least schedule it twice or thrice a year. In most cases, you could do deep house cleaning on special occasions. For example, you’re expecting some guest or when you plan to move into a new apartment, you could do the cleaning prior to the arrival of your guest or your transfer. You might be wondering why you still need to do a deep cleaning when you plan to move. Well, moving out to your rented place requires a thorough end of lease cleaning so, you could get your full security deposit to your landlord. Well, you could only imagine the quality of the air environment around your home, after you have to get rid of all the bacteria and dust from a different part of your house. Yes, sanitising the entire property of your home will prevent many minor illnesses like colds and allergies that are caused by the build-up of allergens from not cleaning your house properly. Yes, deep cleaning will give you and your family a better and clean space to live in, if it is done properly. After a thorough deep cleaning process, the dirt and bacteria in every part of your home are already rid of. Most especially if you hire a professional cleaning service. Well, this simply means that you don’t have to spend too much time on your everyday cleaning. Instead, you could spend more times doing other activities rather than cleaning your house for a couple of hours. Sound’s stress-free right? According to professional, hiring a cleaning service company to do your deep cleaning task is highly recommended if you want to save your time. Yes, deep house cleaning requires a lot of time. It isn’t a simple task that you can do on the weekends. You need to allocate ample time to do the cleaning for at least a week of continuous cleaning for a perfect result. Because if you don’t do it on a consecutive day, you’ll probably not finish it at all. So, if you plan to start it on weekend, then make sure to continue on the next weekend up until you finish your entire home. Hence, if you have the problem with time, then hiring professional cleaners is the best option. Secondly, aside from requiring too much time, it also requires proper cleaning tools. Well, some stains have been around for a couple of months already. And to get rid of them, you need a strong and expert cleaner. So, instead of spending so much money on buying all the products and tools, you could simply need to hire a professional and reliable cleaner to do the task. Does it sound worth it than trying to do it your own? Well, professional cleaning services have the well-trained personnel to do the job completely. They have enough expertise along with the advanced cleaning tools and product to make your deep clean last longer. After all, with the right cleaning tips from the experts, you could guarantee that your deep clean result is worth the money and time. Want to learn more about other helpful cleaning tricks? Well, you’re on the right track! Maid in Perth is here to help you out. Discover our variety of cleaning services and see which one fits your need. Or you may call us today and talk to our friendly customer service for more details. And for more helpful tips, visit our blog section for updated cleaning tips and tricks.